Local ownership has meant a caring concern for the community over the past 130 years and a promise to continue that dedication to our customers and the Ashland area into the future. 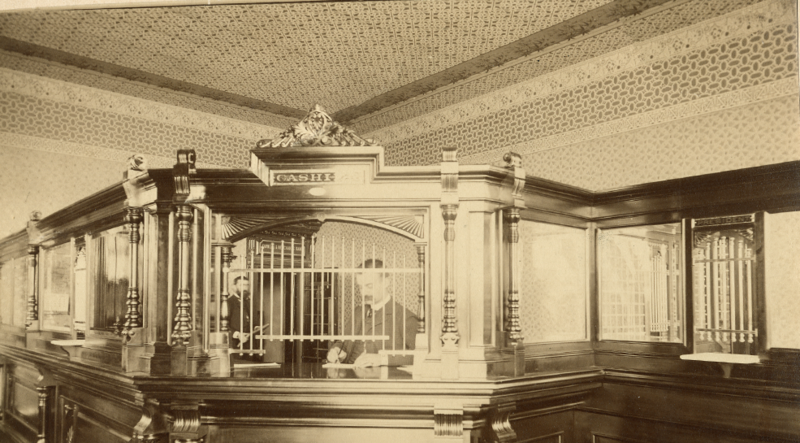 Farmers & Merchants Bank has been family banking since 1883. Not many businesses and banks in particular can say they have been operating continuously for over 130 years. Fewer yet can claim to have operated for six generations by the same family. How did we do it? - Only through an exceptional bank family of loyal, dedicated and extremely competent employees. Our 22 full and part time employees have a collective banking experience of 442 years. With the idea of service uppermost in his mind, Mr. Ernest .A. 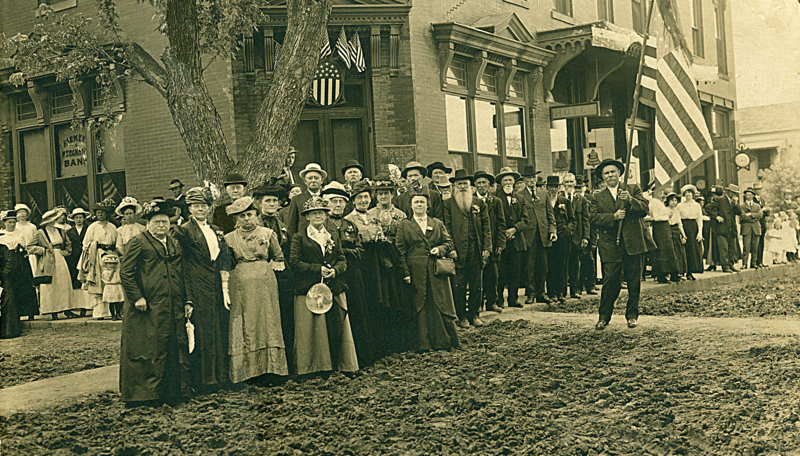 Wiggenhorn organized the Farmers and Merchants Bank of Ashland on November 15, 1883. He had come to Nebraska from Wesphalia, Germany in 1867, settling in Plattsmouth. But as Ashland seemed to offer greater possibilities, he moved here three years later. A lumber yard and other enterprises engaged his interest until he realized the pressing need for a bank in this community. The bank opened its doors to the public in a room about 16 by 24 feet in the old Snell Block on the corner of 14th and Silver Streets. It was soon realized that more space was needed and accordingly in 1887 a new building was erected at 15th and Silver Streets. The conservative policy inaugurated by the founder has been steadily maintained by his successors. It has been the firm foundation of whatever measure has been achieved. But without the good will and trust of the community, the bank could not have grown to its present size. To all our friends and patrons, we wish to express our deep feelings of appreciation for your loyalty and friendship in the past. We will earnestly strive to merit your continued confidence in the years to come. 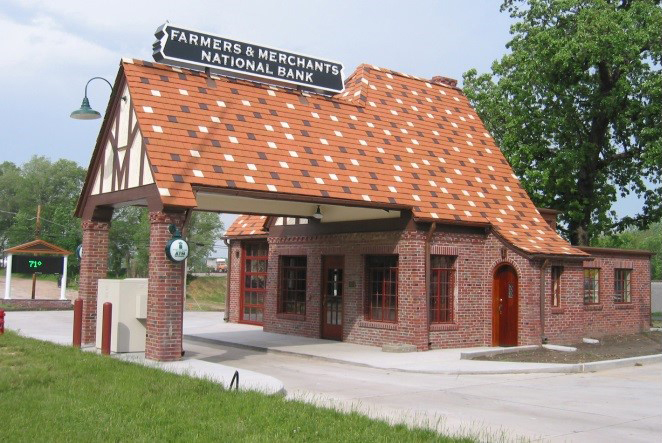 Farmers & Merchants Bank is the oldest business in Ashland under continuous ownership by one family. Robert Cook Fricke, current President is the Great- great Grandson of the founder. Robert Copeland Fricke represents the sixth generation of family to join the Bank. Farmers and Merchants Bank became a National Bank in 1930 and reconverted to a state chartered bank in 2009 maintaining membership in the Federal Reserve System. Steady growth of the bank has required four major expansions, including a drive up facility and the Barnes Oil Company Office. 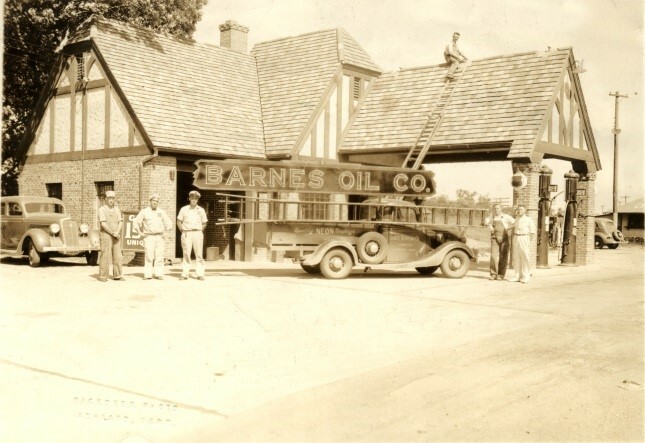 The Barnes Facility is listed on the National Register of Historic Places. From three employees in l883, the current staff is now 22 full and part time employees. The assets of the bank reached 74,000,000 in October of 2016. Local ownership has meant a caring concern for the community over the past 130 years and a promise to continue that dedication to our customers and the Ashland area into the future.